Luckily, my friend Marta was with me and as they say, two heads are better than one. We managed to pick our workshops, one of them being “The buzz on the bees,” hosted by local beekeeper, Geri Hens. Before this workshop, my thoughts about bees rarely ventured beyond my annoyance when they arrived as uninvited guests at my BBQs and picnics. OK, I’ve probably put just as much thought (if not more) into thinking about how delicious raw honey is. There also may have been a few thoughts on the topic back in high school biology class, but those were a long time ago and really don’t count anymore. I now realize that bees and other pollinating insects play a vital role in the production of our food that goes way beyond honey. In fact, most of the things we eat would never have grown if it weren’t for the help of insects. Most flowering plants and trees need to be cross-pollinated before they will bear fruit. This means that pollen needs to travel from the male part of the plant to the female part of the plant for fertilization to occur. 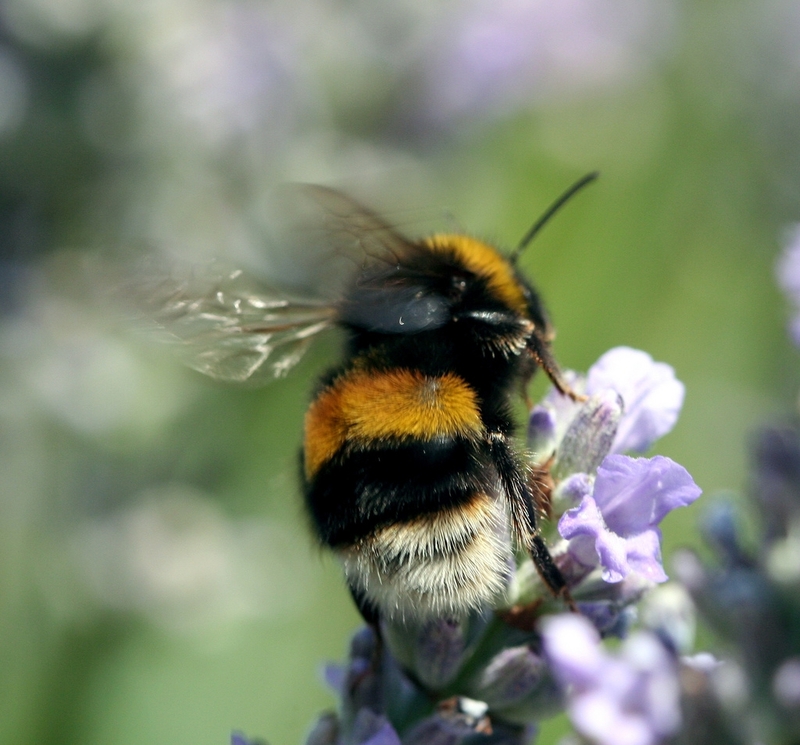 Wind and animals like birds can help with this process, but bees and other insects do the majority of the work. 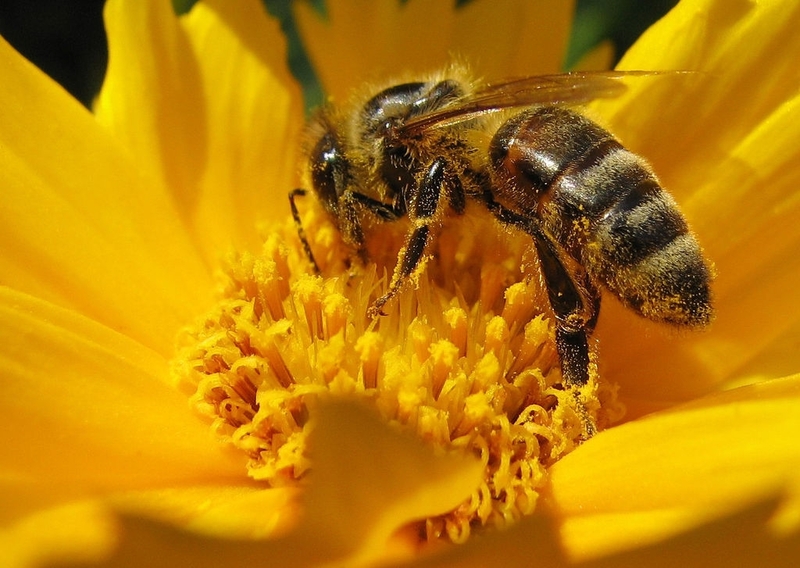 As they travel from flower to flower collecting nectar, pollen sticks to their legs and finds its way to other plants. We often see bees flying around the sweet blooms of apple and cherry trees, but this process also produces our tomatoes, zucchini, and almost every other type of fruit, vegetable, nut, or seed that we consume. Sadly, the past five years have not been so kind to our winged friends. Their population has dwindled by approximately 80%, due to the wide use of pesticides, land development, fewer natural habitats, viruses, mites, and other pathogens. Here in Western New York, our climate has also been unfavorable for their survival. Last year’s mild winter meant that the bees were more active during their hibernation period and they ate through their reserved food stores too early. Many bees died from starvation. This winter will also be a difficult one. The extremely dry summer caused less nectar to form within flowers. Because of the smaller amounts of nectar, less honey was produced, so the bees will start their winter with a smaller food ration than normal. So next time you see a bee, resist the urge to grab your fly swatter. 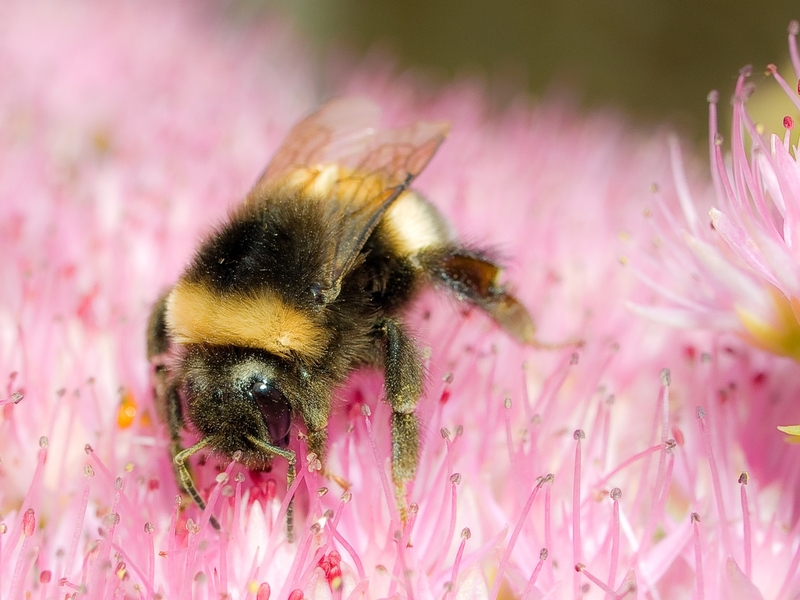 Remember that the hard work of pollinating insects allows us to enjoy our delicious fruits and vegetables. Just give them some space and let them do their thing. And if a colony decides to make a home in your yard, contact your local beekeeper before you decide to take matters into your own hands. Often, they will be happy to come out and relocate the bees for you.